Best Pillows for Side Sleepers - More Support To Avoid Neck Pain! As we know, sleep is one of the things we all do differently. So it makes sense that we’d need various kinds of pillows to accommodate that diversity. To help guide you in your search, there are some key factors that you can follow when choosing a pillow based specifically on sleep position. In this review, I’ll be taking a close look at some my top picks for side sleepers. 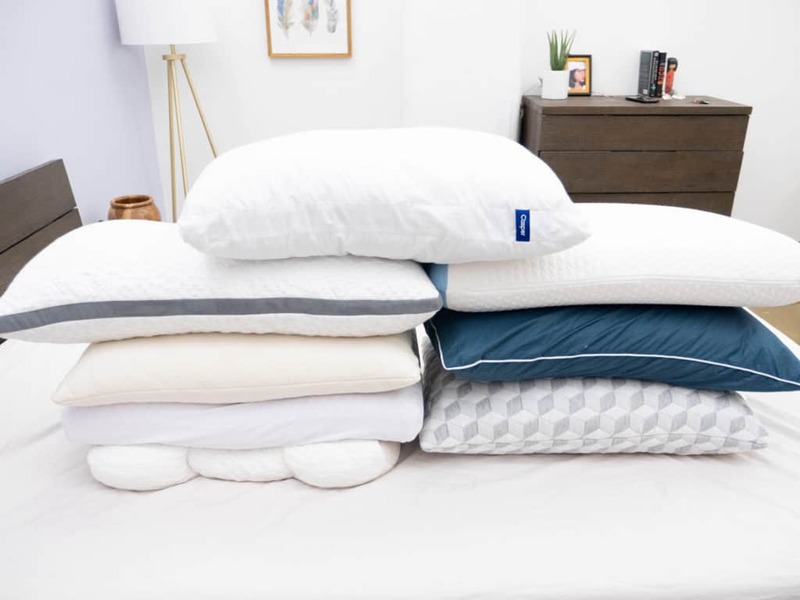 I’ve personally tested these pillows, and happen to be a side sleeper myself, so let’s help you find the bed pillows that suit both your body and your lifestyle. WHAT’S THE PERFECT PILLOW FOR SIDE SLEEPING? When it comes to side sleeping, it’s usually best to get something more firmly supportive with a relatively lofty build. This way, when you’re on your side, your shoulder is getting that nice pressure relief and your head is held in neutral alignment with your spine. And once you’ve found a side sleeper pillow that does all that, you can dive deeper into the details! For example, I’m a side sleeper but I’m also a very warm sleeper, so I often prioritize breathability and cooling features. I also like my pillow to be foldable and shapeable so I can sort of personalize the loft to my liking. Essentially, while there are some very helpful guidelines to follow, every side sleeper finds their comfort zone differently and there are many aspects to consider. So, let’s take a look at the round up, shall we? A big, lofty build helps side sleepers relieve pressure in their shoulders when sleeping in the lateral position! Click the link to buy your Layla pillow! Three adjustable chambers help back and side sleepers maintain proper spine alignment throughout the night! 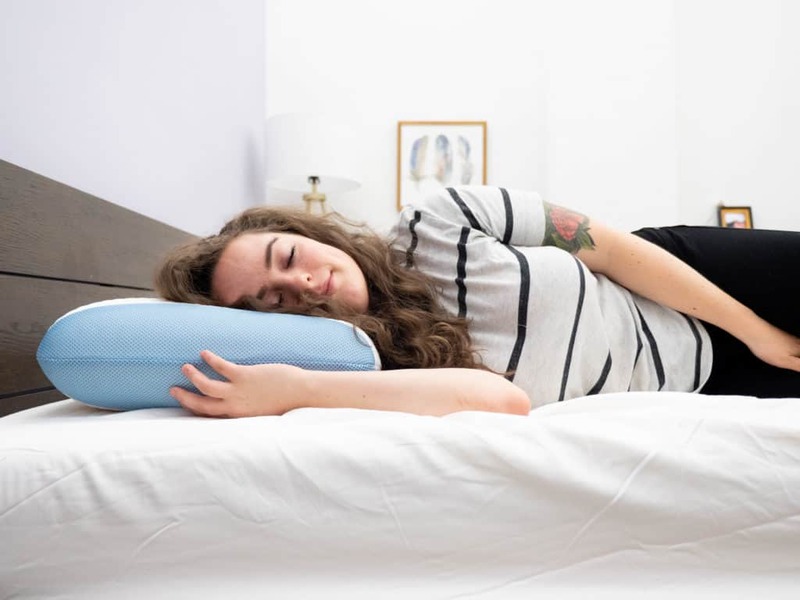 Use code SLEEPOPOLIS5 to save 5% on your SpineAlign pillow! Down-alternative makes this pillow fluffable for lofty, side-sleeping support — but it's compressible enough for stomach sleepers too! 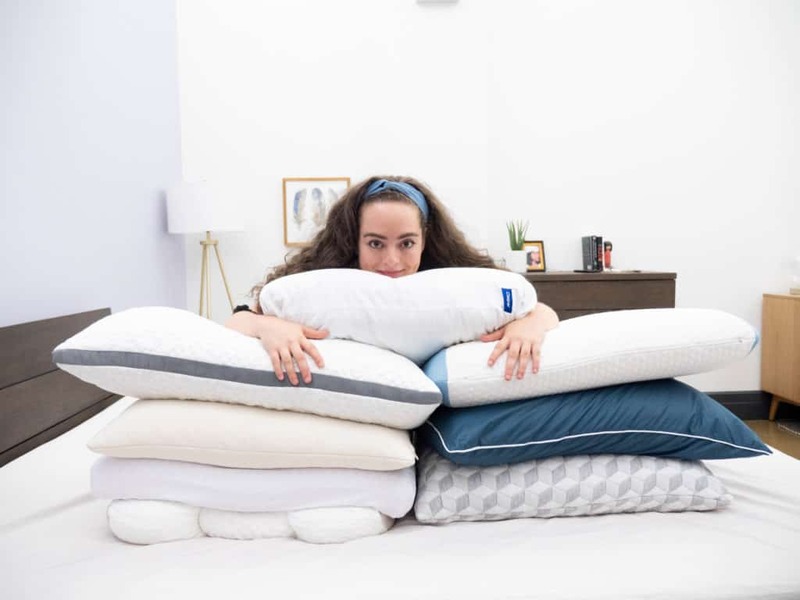 Use code SLEEPOPOLIS to get 15% off your order from Pillow Guy! Cooling phase change material makes this pillow feel icy-crisp to the touch, and it's lofty build makes it great for side-sleeping support! A unique, boomerang-shaped construction makes this pillow ideal for side sleepers who love the deep sink into memory foam! 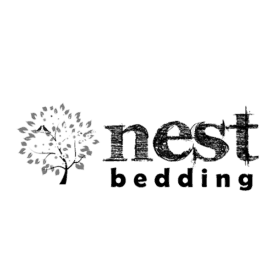 Use code SLEEPOP8 to save 8% on your purchase from Nest Bedding! The low-friction silky fibers inside the Casper pillow offer cozy, head-cradling support and a lofty build that's ideal for back and side sleepers! 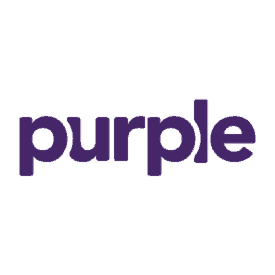 Side sleepers who enjoy a firmer feel might be particularly compatible with Purple's durable hyper-elastic polymer! 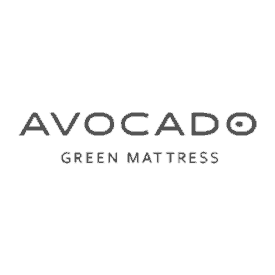 The Avocado pillow offers medium firmness, adjustable support, and all-natural materials for the eco-friendly side sleeper! WHAT MAKES THESE PILLOWS GREAT FOR SIDE SLEEPING? While each of the pillows listed above brings something different to the table, they all offer supportive pressure relief and spine alignment for folks who love lateral sleeping. At the end of the day, helping you to maintain healthy posture is one of your pillow’s primary purposes and, after thoroughly testing each one, I think these top picks have what it takes. But let’s take a closer look at some of the things that set these pillows apart from one another so that you can get a better idea of what else you want your side-sleeping accessory to do. Layla is one of my top picks for a few reasons. Its cover fabric is super soft, and copper is discretely woven into the material to help your head stay cool. It’s hypoallergenic, so I feel totally safe to mush my face into it. But the thing that really illuminates the Layla as an awesome side-sleeper pillow is its exceptionally lofty build. The internal fill of shredded, gel-infused memory foam and Kapok fibers offer a soft and plush feel, but the pillow itself is quite thick and dense. So, it’s going to provide great pressure relief for your neck and shoulder while the foam softly conforms to your head. Because the Layla is so lofty and thick, it’s going to be an especially good pillow for folks with broader shoulders. I’m a little more petite, so I can get away with sleeping on a pillow that doesn’t have much density or length to it (doesn’t mean I don’t love it though!) but folks with broad shoulders might be more compatible with a longer, thicker pillow. 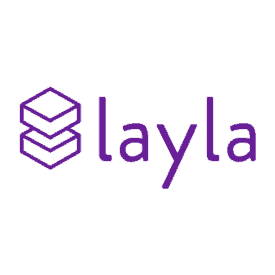 The king-sized Layla pillow measures 18” x 32” x 4” which is already pretty big, but the gel infused memory foam (also featured in Layla’s mattresses) has a stretchable quality to it as well. So, the pillow’s slow response to pressure combined with its ability to stretch allowed me to distribute the fill within the cover, and pull it in ways that made it even longer. Tall sleepers or those with broad shoulders would be especially compatible with this lofty, full, longer pillow as they have more support and room to roll. Check out all the details in my full written review of the Layla Pillow. A copper infusion in the cover helps to make the Layla pillow ultra cool and comfortable. The SpineAlign pillow was designed by a chiropractor to help back and side sleepers maintain healthy posture throughout the night. While it does offer back sleepers good, balanced support, I think this pillow is particularly useful for side sleepers. 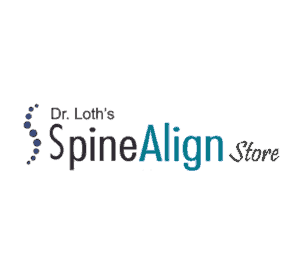 The SpineAlign employs a three-chamber design wherein the side chambers are built to be loftier and firmer than the middle chamber, helping the sleeper to keep spine alignment when in the lateral position. Personally, I felt very comforted (literally) by the fact that this pillow was crafted by a chiropractor. The structure of the SpineAlign is built to ensure that, no matter how much tossing and turning you do, your head will be securely supported and not elevated out of alignment with your neck. This pillow also does a great job of keeping its shape over the course of the night, further ensuring that you won’t wake up with a crick in your neck. There are some special things about the side chambers, too! The side bearing the company’s logo is built to be a bit taller to accommodate folks 5’7” and above, while the other side is for people under 5’7”. If you’re exactly 5’7”, you could probably go either way. I, however, am 5 feet tall, so I stick to the shorter side of the SpineAlign. Often times, what works for tall sleepers won’t work for shorter folks and vice versa. Catering to both demographics makes the SpineAlign particularly thorough in offering a supportive position for the neck. Not to mention, since each chamber is adjustable, you can further customize the loft by removing fill or moving fill from one chamber to another. Side sleepers with chronic neck pain might really want to give this doctor-certified pillow a try! Learn more about this pillow in my full SpineAlign Pillow review. So, while a firmer feel is typically better for side sleeping, Pillow Guy’s fluffy, down-alternative side sleeper pillow offers softer support. I chose this pillow because it’s got some good loft to it but, mainly, it’s very foldable. Many side sleepers (myself included) like to be able to fold one corner of their pillow underneath their arm to sort of hit that comfort-sweet-spot. Pillow Guy’s squishy blend of poly gel fiber allows for an easy under-the-head tuck, allowing you to manipulate the firmness while still enjoying the down-like, feathery nature of the fill. Meanwhile, if you’re someone who likes to slip into some stomach sleeping as you transition from side to side, the soft support of this pillow lends itself really well to that. Typically, what you look for in a side sleeper pillow is the opposite of what you look for in a stomach sleeper pillow; strict stomach sleepers should generally be using a pillow that’s softer and flatter rather than lofty and firm. However, the malleable, compressible nature of Pillow Guy’s side sleeper pillow allows for enough of a sink into the pillow so that your head is not elevated in an uncomfortable way when you’re on your stomach, and enough foldable support when you’re on your side. Side sleepers who switch back and forth between prone and lateral sleeping might be particularly compatible with this pillow. Pillow Guy does make a pillow specifically for stomach sleepers as well, and you can read about both bedroom accessories in my full Pillow Guy review. Take 15% off your order! A cushiony down alternative makes these Pillow Guy pillows super soft and flexible. Use code SLEEPOPOLIS to get 15% off your order! I chose the Bear Pillow as a great pick for side sleeping because it’s got a nice lofty build and a firm feel. As I said, that combination of characteristics is generally a pretty safe bet when picking a pillow for the lateral position. However, if you’re also a sleeper who runs hot, this pillow might be ideal for you. Made from a cooling phase change material, the cover fabric is icy-crisp to the touch (and it’s designed to stay that way the whole night, no matter how warm you are). It’s also got two mesh panels that cap both ends of the pillow to enhance the overall breathability. As I mentioned, I’m a perpetually warm person and I heat up during the night. 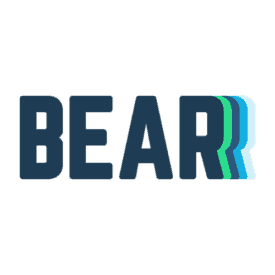 I found that the cooling features of the Bear pillow really served to reduce the temperature of my face and provided a soothing chill that lulled me to sleep. It does have an extra firm feel, so I encourage you to try it before adding it to your collection of bed pillows just to be sure that you’re compatible with its feel and support. Side sleepers who need help keeping cool could definitely benefit from the Bear Pillow.To read all the details on this pillow’s construction, check out my full review. On the other hand, if you’re more into the slow sink of memory foam than the feathery fluff of down-alternative, you might want to try the Easy Breather Side Sleeper pillow from top-rated mattress company Nest Bedding. 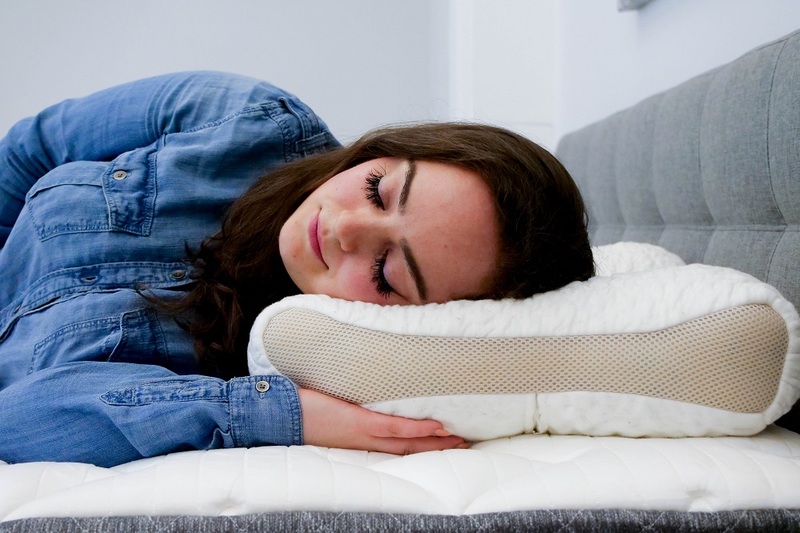 This pillow conforms to your head and neck, offers even pressure relief, good spine alignment and (as the name denotes) its construction is designed specifically for side sleepers. The Easy Breather Side Sleeper is shaped sort of like a boomerang; the sides are thick, the middle is thinner, and it curves in the center. This way, side sleepers can roll back and forth and always be met with a lofty cushion of memory foam to support their necks. Folks who toss and turn a lot during the night might especially benefit from this pillow’s shape. The softer middle area eases the sleeper’s transition from side to side, offering an even place to roll in between lateral positions. It’s also adjustable, so if you like the sides of the pillow to have even higher loft, just reach in and distribute the fill how you like it! I do tend to roll around a bit in my sleep (probably more than I even know) and I found the unique shape of this pillow to be pretty useful for keeping me in a cozy position. If I’m on my back, I like using the loftier sides to rest my temple on, and it makes the transition onto my side really smooth. Side sleepers who love the feel of memory foam but need a little structural help maintaining healthy posture should consider giving this pillow a try. Read more about the Easy Breather Side Sleeper from Nest Bedding in my full review. I chose the Casper pillow for folks who almost always sleep on their sides, but dabble in supine sleeping over the course of their slumber. The Casper features a dual-layer design wherein an inner pillow is zipped up in an outer pillow, offering even pressure relief and a balance between plush and supportive. It also employs a two inch gusset that serves to fortify the shape of the pillow and give it a more consistent loft. So, it’s got the lofty support that side sleepers need, but it’s fluffy softness makes it great for back sleeping too. 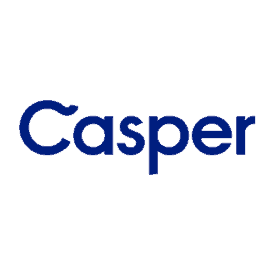 Casper is one of the best rated bed-in-a-box brands out there, so I wasn’t too surprised by how comfortable its pillow is. It has that sort of “cloud-like” quality to it, and the more you fluff it, the loftier it gets. Because of its fluffable nature, I was able to find comfort in every style of sleep, but particularly on my back and side. This versatility can help guard against falling into a position that throws your spine out of alignment. Because side sleeper pillows are often lofty and firm, unconsciously rolling onto your back or stomach could definitely lead to some neck pain if you lay there too long. But the Casper’s internal fill is firm enough to support you laterally, but compressible enough to keep your posture healthy as you roll around in dreamland. For the full scoop, check out my full review of the Casper pillow. Sleepers can enjoy Casper's pillow-in-a-pillow design in order to customize the loft and feel! 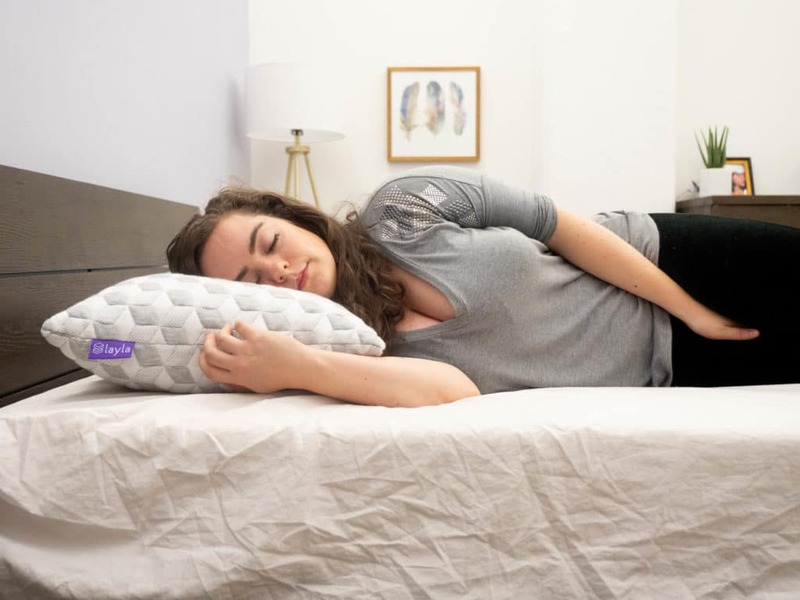 The Purple pillow’s interior is made from the company’s patented Hyper-Elastic Polymer, a material built to be very durable and resilient to pressure. This pillow is designed to be firmer around the edges and softer in the middle so that side sleepers can benefit from that extra bit of support, and back and stomach sleepers can stick to the middle. Something great about this unique material is that when you lay into it, it doesn’t lose shape anywhere else. It is not foldable, malleable, or adjustable in any way. Because of this, you’d really need to be compatible with the feel and support of the Purple pillow exactly as it comes as there is no room to play around with the loft. That being said, this pillow’s resilience is very appealing, especially for side sleepers who need a more consistent level of firmness. And the edges of the Purple pillow do have an extra firm feel, so side sleepers who need a firm level of support might want to give this pillow a try. Check out my full review of the Purple pillow for all the details. 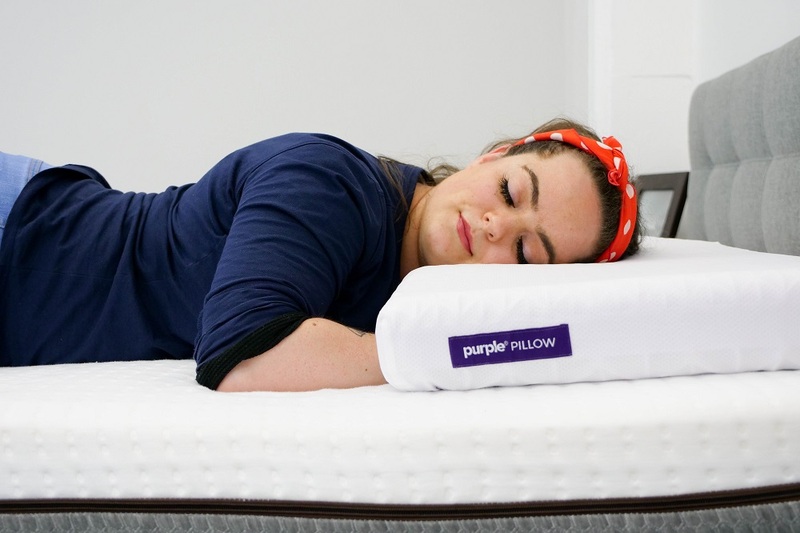 Built with contouring hyper-elastic polymer, the Purple pillow is fantastic for those in need of pressure relief. The Avocado Green pillow doesn’t offer quite enough firmness for my liking, and it isn’t very lofty. However, it is an organic pillow made from all-natural materials. It’s got a soft, cool plushness to it that feels very pleasant against your face when you’re lying on your side, and I found that it was particularly gentle on my ear. Sometimes if a pillow is too firm or not supportive enough, my earlobe can get folded in this very uncomfortable way. But with the Avocado pillow, it just nestled gently into the fabric. This pillow is filled with Dunlop latex shreds and Kapok fibers which offer a nice, quick response to pressure as well. Plus, it is adjustable which, as we know, is a big bonus for side sleepers. It may not be lofty enough on its own, but you can push the fill into the area in which you’d like more support. As for me, I reached in and shoved the fill into the side of the pillow I knew I’d be sleeping on. From the internal fill to the cover fabric, this pillow brings a sustainably harvested factor to the pillow game that is, to me, a nice perk. But the thing that really makes this a good pillow for side sleepers is the soft comfort it lends to folks with sensitive ears. Learn more about the Avocado Green pillow by checking out my full review! Made with all-natural latex, the Avocado pillow is both eco-conscious and supportive! Okay, you’ve seen my personal pillow picks for side sleeping but remember: these are just eight of my favorites. There’s a big wide pillow-world out there, so let’s make sure you know what to look for when you’re shopping for a side sleeper pillow on your own. Is this pillow lofty enough to keep my head, neck, and spine in neutral alignment? Is this pillow so lofty that it elevates my head and cranes my neck upwards out of alignment with my spine? Is this pillow’s loft providing me pressure relief for my shoulder? When it comes to loft, there’s often a bit of a Goldilocks situation going on, and it’s important to find the height that’s just right. Your side sleeper pillow should be lofty enough to hold your head in alignment with your spine, but not so much so that your neck is bent upwards. At the same time, you know it’s not lofty enough when your shoulder is bearing the brunt of all that side-sleeping pressure. It can be oh-so tempting to go for the pillow that feels the softest and bears the closest resemblance to a cloud, but that’s generally not going to suit the needs of a side sleeper. Side sleepers are usually better off with a firmer pillow that’s going to offer enough support to keep their heads in alignment with their necks. A pillow that’s too soft is going to be much more likely to allow your head to sink too far down, dragging your head and neck out of alignment with your spine. Not good. Instead, look for a pillow that advertises a firmer feel. This will make sure that your head stays upright enough to align your spine while also keeping a good distance between your ear and shoulder. Remember: you’re sleeping with one shoulder pressed into the mattress, so you want to make sure that your pillow is firm enough to evenly distribute pressure and take some of that hard work away from your shoulder. It’s worth noting that a firmer pillow can take a bit more time to get used to, but once you and your pillow get to know each other, you’ll likely enjoy a long and supportive relationship together. So, once you’ve found a pillow with some good loft and a firmer feel, you have to make sure that’s it’s going to support you all night long. Because this factor is more dependent on time, it’s hard to be sure solely from online reviews or the thirty minutes you spend testing it in the store. So, I always recommend taking advantage of the company’s offered trial period — that way you can get a month or so to get the full measure of the pillow’s long term support. However, if a company does not offer a trial period (or you don’t want to use it), there are some things that can alert you to the pillow’s stamina. 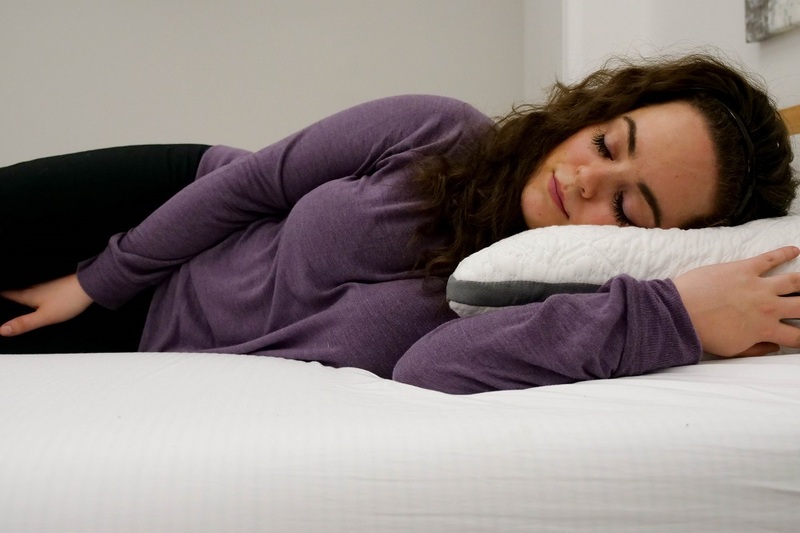 A responsive pillow with good moldability is more likely to stand the 8-hour test. In my experience, when your pillow offers a quick response to pressure and/or a moldable fill, it’s less likely to collapse under the weight of your head over the course of the night. Additionally, an adjustable pillow is really beneficial for side sleepers. If you ever feel like one area of your pillow is getting a bit flat, just reach in and adjust the fill until the loft and support are back in business. It’s very important to have a pillow that’s going to support your preferred sleeping position, but those efforts could potentially go to waste if your mattress is not doing the same. For the full side sleeping experience, it’s best to pair your side sleeper pillow with a mattress that caters to the needs of folks who mainly sleep in the lateral position. Just like with pillow shopping, you have to find the mattress that’s going to offer the right firmness and feel so that you can enjoy support for your back and alignment of your lumbar spine. If you’re not sure where to start your search, check out our picks for the best mattresses for side sleepers! Now remember, sleepers: everybody is different and our sleeping habits shift and evolve over time. So, it’s important to note that what works well for some side sleepers might not be as great for others. Researching a sleep accessory before you purchase it is a great way to get a good preliminary sense of it, and whether or not it’s going to serve your unique-to-you needs. That being said, every pillow I’ve listed in this article offers a trial period allowing you to test the pillow out and see how it suits you before you fully commit. If (after watching a Sleepopolis pillow review on YouTube) you decide that you have to test that pillow for yourself, you usually can! I always encourage folks to try a pillow first so that if it doesn’t fit your lifestyle, you can happily continue your search for one that does.